Single vehicle accident involving a motorcycle on KY1344. Driver reaching speeds of 120 MPH. The Kentucky State Police, Pikeville Post, will be conducting periodic traffic safety checkpoints. Princeton, KY (Caldwell County) – On June 28, 2018, at approximately 4:14 P.M. the Kentucky State Police Post 2 Madisonville received a call in reference to a shooting that occurred at Mashburn Road in Princeton. 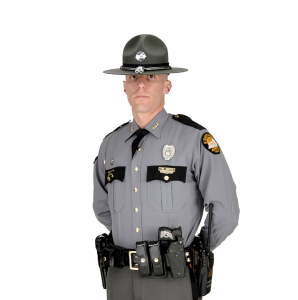 (Washington County, Ky June 28, 2018) -Trooper Clint Bale is investigating a collision that occurred on June 28th, 2018 at approximately 4:08 PM EST on Beechland Road in Washington County. The Kentucky State Police will be stepping up patrols to ensure the safety of the motoring public.